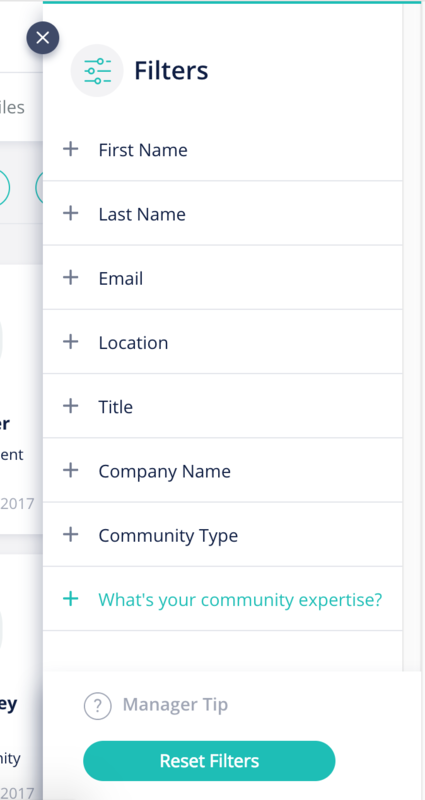 Once you've set up your member directory fields (these are the fields you set in your registration form), your members can now search for other members to find that right expertise (depending on the permissions you set for each field). 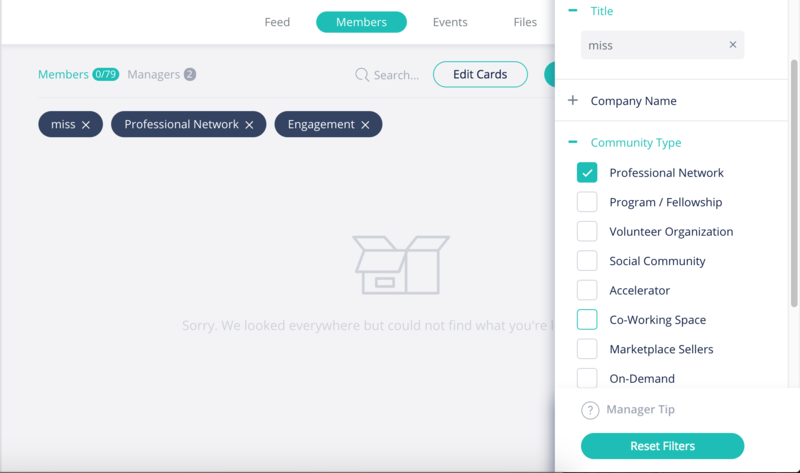 Once in the filter section you can search for members by name or use the filters you've created to narrow down your group. For example, to search by name, type the members name in the name section and it will narrow the list down to the name you entered, automatically. Your searches will appear as tags at the top of the Member Directory. You can remove them as you go or add more by adding more search filters. Once you've filtered you can open their profiles (click their name), review their info and event start a chat.